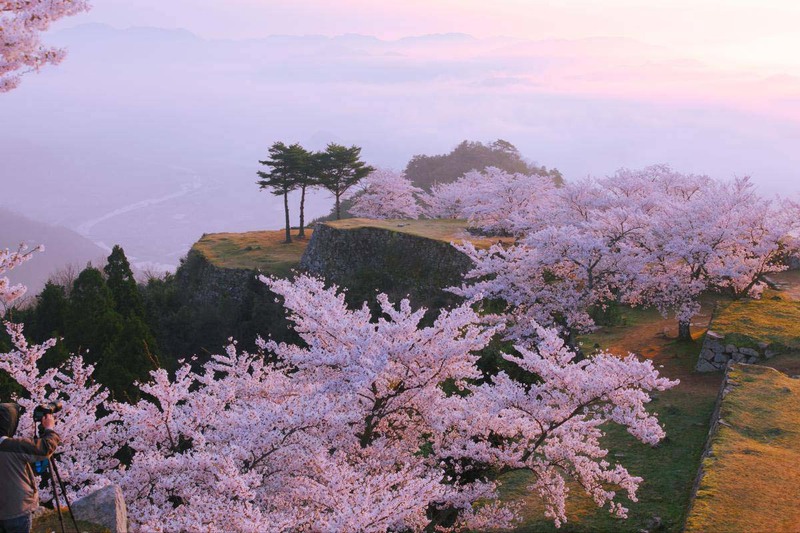 Takeda Castle (竹田城跡, Takedajō-seki) is a ruined castle that is located in Asago City, Hyogo Prefecture. It is also known as the “castle floating in the sky” because of how it looks like on foggy autumn mornings – floating on a sea of clouds. The castle was first built in 1411. It was later taken over by Toyotomi Hideyoshi during his western campaigns to reunite Japan. The castle was abandoned not long after fighting against the Tokugawa clan during the battle of Sekigahara in 1600. Gradually, it disintegrated over centuries until the ruins we restored in the 1970s and 80s. Ever since then, the castle opened as a tourist attraction. The castle’s layout, such as the central fortress, could be seen as the foundations are still largely intact. However, no buildings are left standing on the castle grounds. There is a marked-off, one-way walking course that visitors have to follow. There are also numerous locations around the grounds with astounding views of the mountains surrounding the castle as well as the town below. The best time to admire the floating caslte would be in October and November around sunrise. 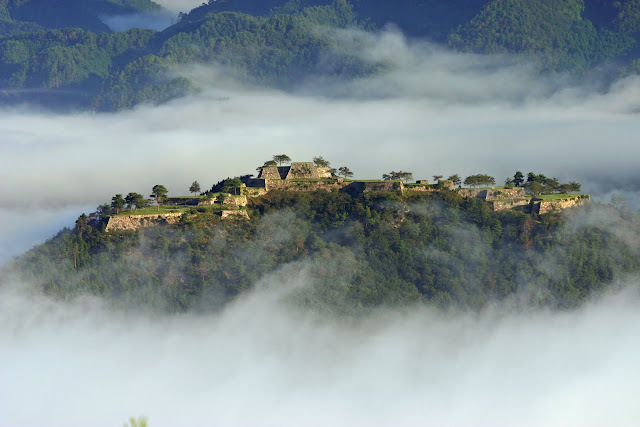 On average, a sea of clouds can be seen, on one out of three mornings, surrounding the castle. 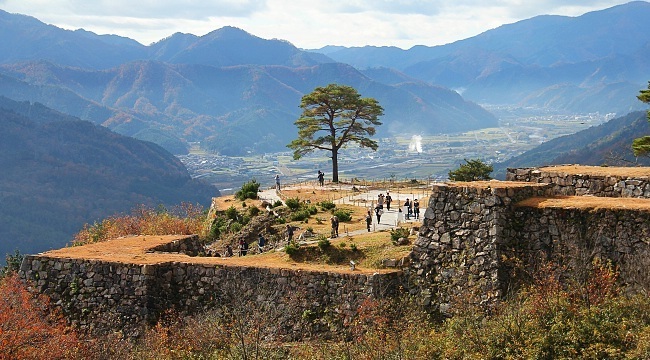 Ritsuunkyo, on the mountain slopes opposite the castle, is the most popular viewing spot. It is possible to reach Ritsuunkyo’s parking lot by car after which a steep dirt trail winds up the mountain with multiple observation decks along the track. The lower decks can be reached in a few steps from the parking lot, but the best views are from viewpoints 1 and 2, which are 30-40 minutes up the trail.